What age should you start saving for retirement? Roughly half of all Canadians have some form of savings that they plan to use in retirement, not including any pension or social security that may (or may not) be available to them. While this may seem like a lot, it is not nearly enough! Many people procrastinate the process of putting away paychecks– even if you have a sizable savings account, your money could be earning you more than the modest interest offered by most banks. 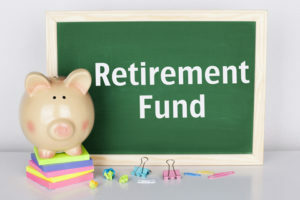 Keep reading for a few retirement savings tips from Liu & Associates! Throughout all professions and ways to make a living, you will always make less at the start than later in your career. This fact of life leads people to put off savings until their annual income grows beyond their needs. While you can afford to make larger contributions when you make more money, investing small amounts earlier on can actually be more beneficial. Therefore it is always better to start saving for retirement at as young an age as possible! Now that you know you should have been investing yesterday– whether you have saved anything or not, you should make a detailed plan for your priorities. Is there a specific item or activity that you are saving for? Do you hope to start a business? Dreaming of retiring in luxury? There are many different paths leading to each of these anything else you can imagine. The only way you will achieve this goal is by following your financial roadmap! From a Tax Free Savings Account (TFSA) to a Retirement Savings Plan (RSP), there are no shortage of good options for saving your money at any age. Beyond these low-interest, non-volatile investments, there are also innumerable services that claim much higher returns– albeit, for a considerably higher risk (including losing your savings entirely). Look for modest interest rates or programs that support your personal values, but always beware putting all of your eggs in one basket. “Diversify your portfolio” by splitting up your investments between two or three different accounts that each offer different advantages. The above tips are only a brief survey of the many ways you can make the most of your retirement. Whether you are just starting out or you are already an established professional, contact or visit Liu & Associates today for a full rundown of all retirement investments available to you.